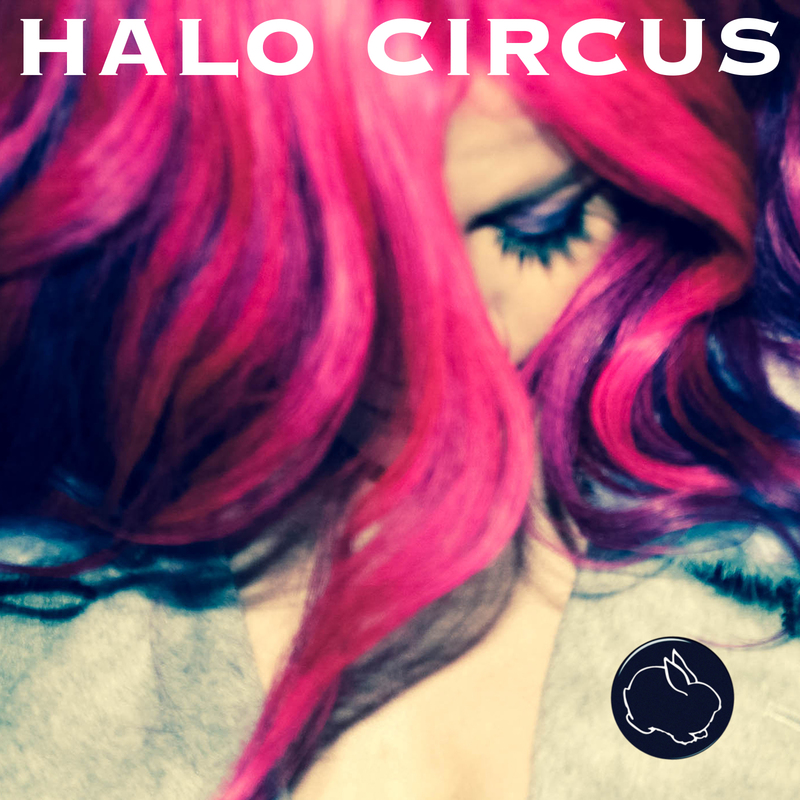 Hot off the TV screen from American Idol, Allison Iraheta has teamed up with multi-platinum producer Matthew Hager (Duran Duran, Scott Weiland), drummer Veronica Bellino and guitarist Brian Stead to create music together as Halo Circus. That music turned into their debut Bunny, which they'd actually attempted to record once before - Iraheta explains. "We decided to re-record what we'd recorded a year before. We wanted to capture the evolution of our live sound." This determination has been worth it, as single 'Desire (Lo Que Vale Le Pena)' has been downloaded over 647,000 times within a week of release. Let's see what Bunny has to offer. 'He Promises The Moon' opens this collaboration, being only fifty seconds long, that sounds like something that would be played on a jukebox or record player in the 50s. 'Nothing At All' is a real song of note and straight away the distinct impression of "Gaga x P!nk" comes through in Iraheta's vocals, as a mix between the two, but less drug-orientated nor any strange lyrics. It's the perfect song for the radio, as a lot of people will be surprised to hear that it's from someone other than a multimillionaire songstress, but in fact from someone who deserves fame much more than that. Hit single 'Desire (Lo Que Vale Le Pena)' reminds me of the Las Ketchup hit (Lord knows why it was a hit), 'The Ketchup Song (Hey Hah)' but less cheesy and more meaningful - with orchestral overtones and a pure Rock rhythm, I can see why it was chosen as the main single. 'Band-Aid' is another song that stands out - with its punchy chorus and piano-heavy verses, it's the perfect song for performances and festivals, as the crowd will be chanting back every word, I can assure you of that. Bunny proves that Halo Circus are a force to be reckoned with; a great debut from a band that assembled from Idol, giving me and others hope in music reality shows. If you want to listen to Bunny, you can do so on Spotify and if you like what you hear, purchase the album on iTunes. Follow Halo Circus on Twitter, Instagram and Facebook to keep with their news and releases. Follow me on Twitter and Facebook to see what I'm up to. *This post contains PR samples, but all the opinions expressed in the post are my own.